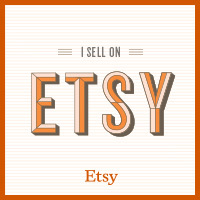 Want to add a festive touch to your holiday table but don’t have a lot of time? 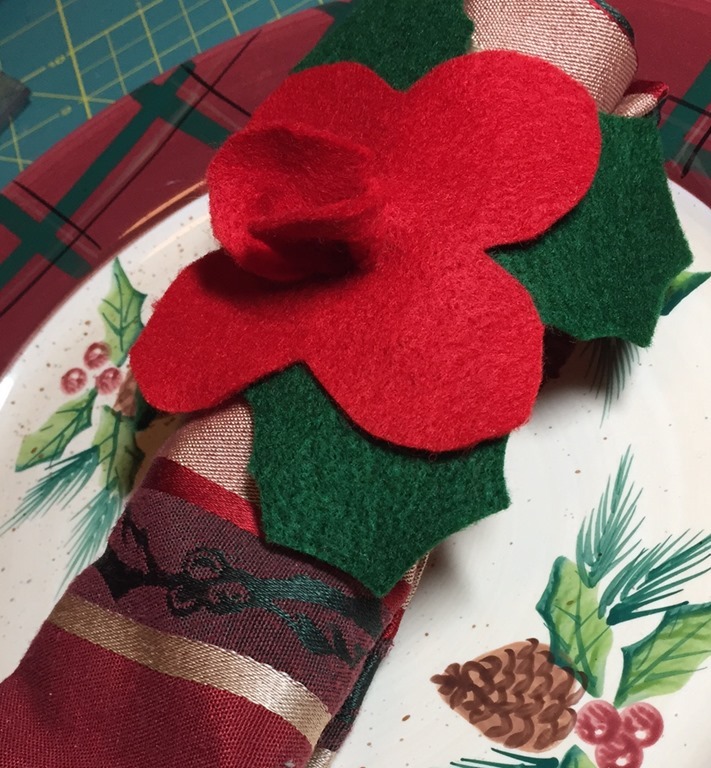 Here’s an easy, no sew, way to make a colorful poinsettia napkin ring in 2 minutes flat. It’s a technique my sister-in-law taught me over (well we won’t mention how many) years ago. I’ve perfected the pattern, but the idea is the same. 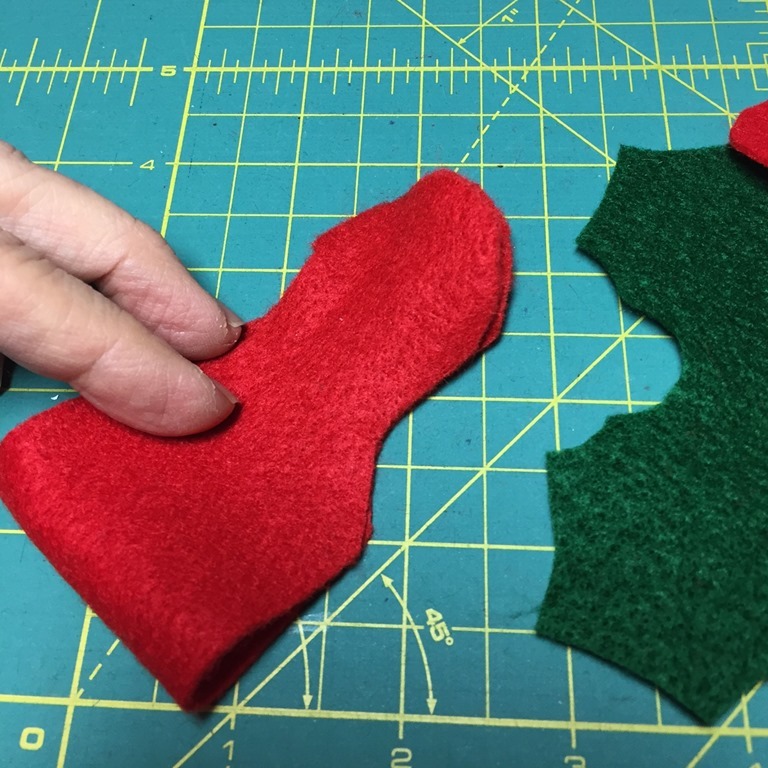 There’s no sewing involved, and all you’ll need is some red and green felt squares (available at JoAnne Fabrics, and lots of other stores — be sure to use your coupon). 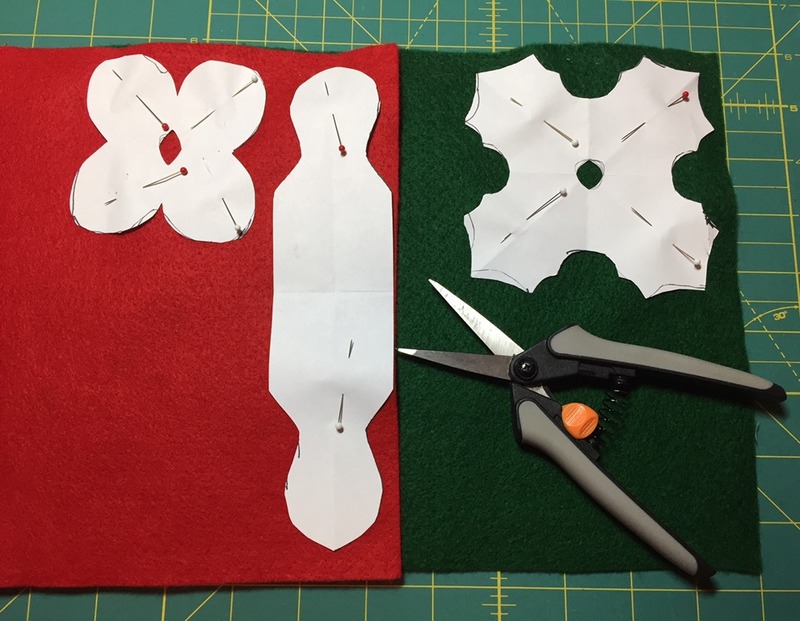 Click on the PDF pattern (below) and print it off. There are only three pieces. 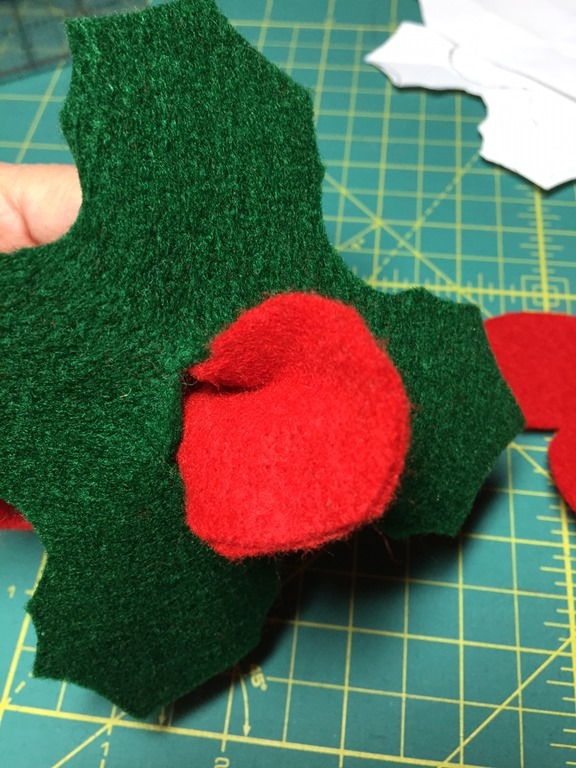 Cut them out of red & green felt as shown in the photo below. That’s all there is to it! Easy peasy. 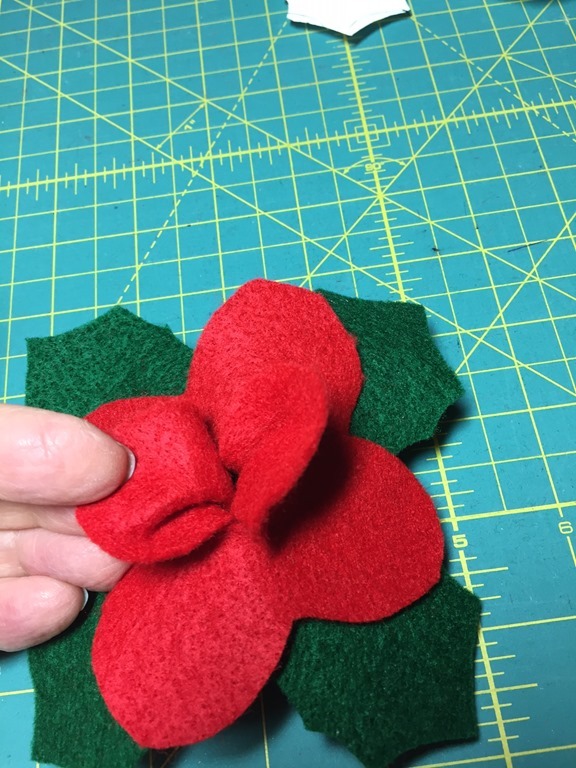 cut an X in the center of the green & red petals…simply fold in half & cut, refold in half the other way and cut. 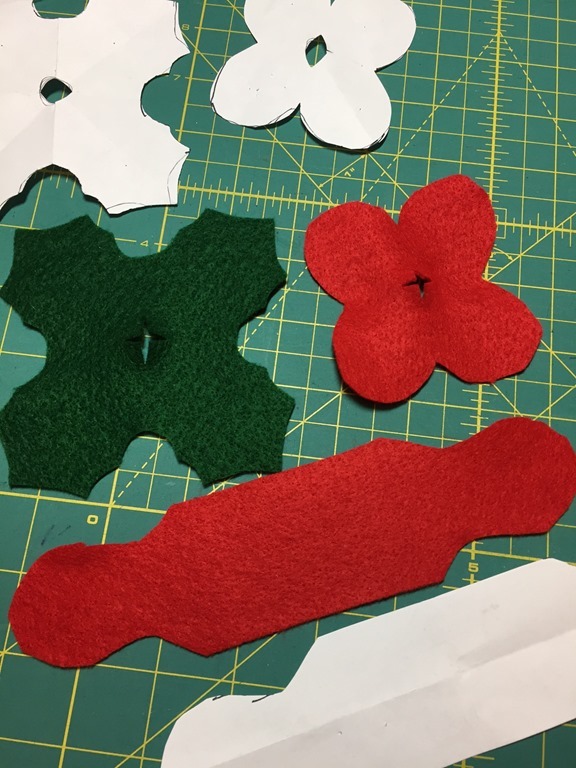 To assemble, fold the RED long strip in half..
and pull the tips through the center hole of the GREEN felt petals. 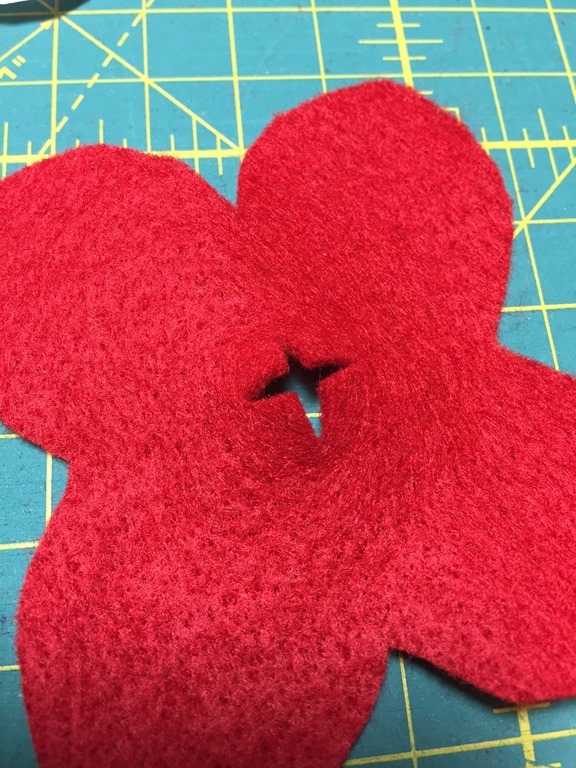 And then through the center hole of the RED FELT petals. 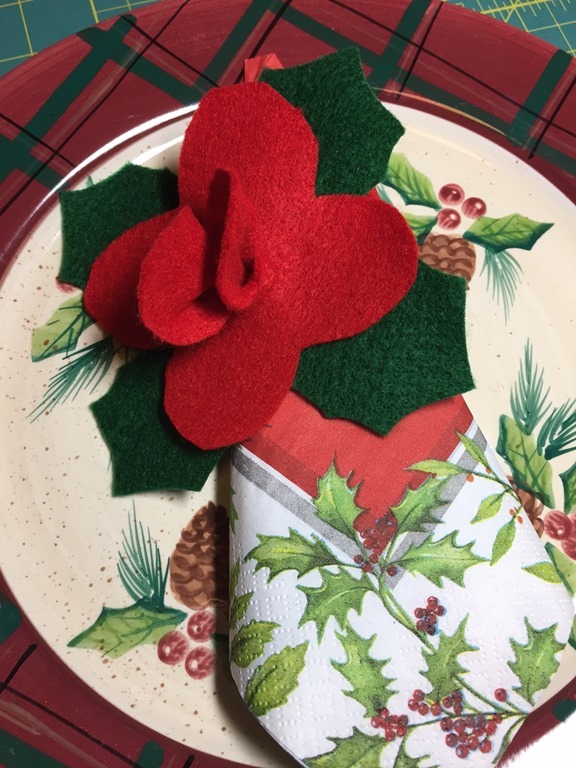 Roll up your napkin (or fold) and slip it through the “ring” and your table is instantly transformed. 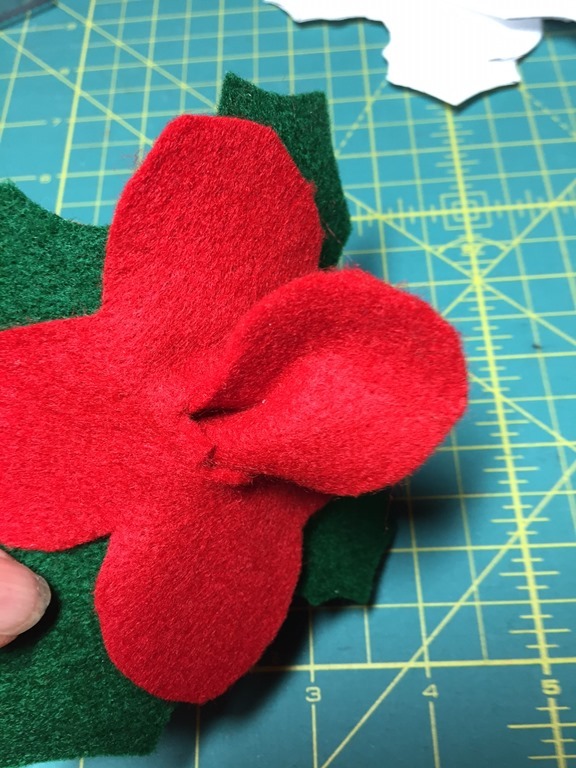 Now get creative—change the shapes of the outside leaves & petals…use different colors and you can make all sorts of flower napkin rings for every season of the year! Wishing you all a Very Merry Christmas & Happy Holiday Season…And a very HAPPY and HEALTHY NEW YEAR! !